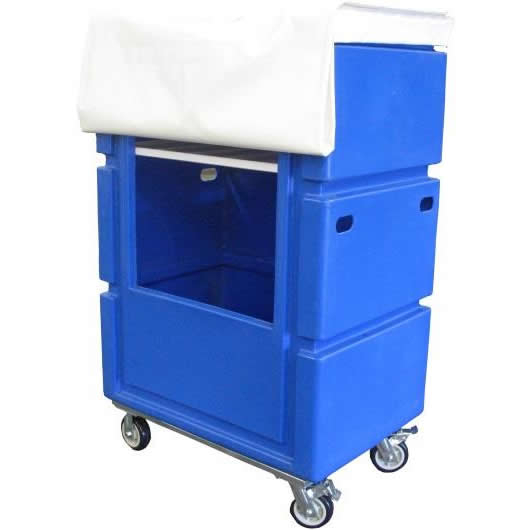 The ideal solution to transport and store of all types of commercial linen. The Tallboy is manufactured in super tough polyethylene mounted on a plated steel frame with high performance 150mm wheels. Two wheels pivot and brake and two wheels are fixed give maximum manoeuvrability. 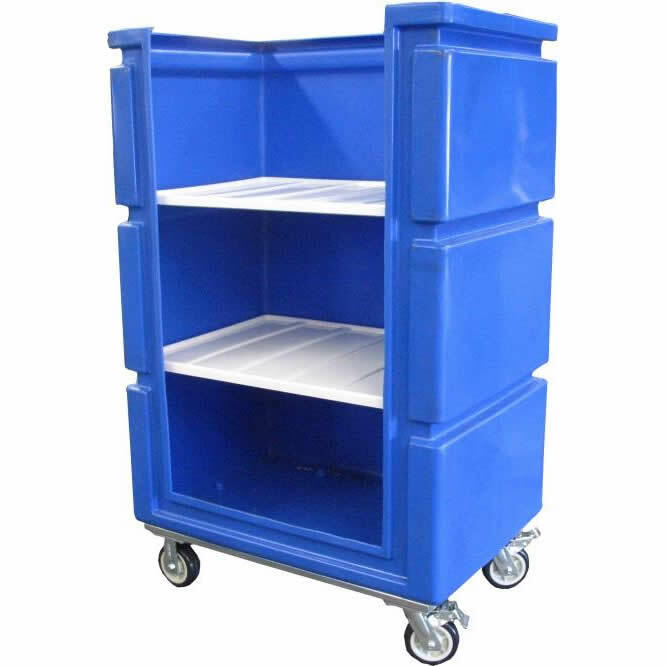 The Tallboy can be fitted with removable plastic shelves and fitted with a top and front screen if required.